Despite the mantra that "content is king" and the emphasis on networks and bandwidth capacities, the first impression made by any digital signage network is delivered by the display. Simply, the quality of the image is most affected by the quality of the display. 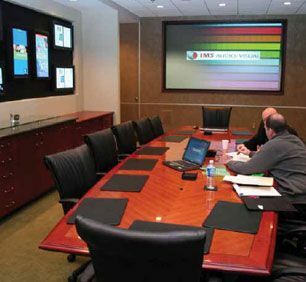 Any of the predominant flat panel displays can be used in a digital signage application - LCD, plasma, or even "nearly-flat" DLP displays. The choice of which technology to use is sometimes dictated by the nature of the content. For example, if the image will remain static for long periods of time (like in a airport flight information display), you might avoid plasmas since they have been more susceptible to image retention problems than LCDs or DLP. On the other hand, you also might choose a plasma if the application calls for a very large image and high contrast ratio. Or the application may call for touchscreen interface or kiosk implementation. Size of the screen depends on other factors, such as how far from viewers the screen is to be located, size of the type on the screen (if applicable), and the level of detail to be shown. Static versus moving images is one consideration. Whether you need to show text only or color-sensitive images (such as fashion retail merchandising) is another question you need to answer. Indoors versus outdoor applications may dictate which type and brand you'll consider - as well as accessories to "weatherize" your installation. In general, larger LCD panels cost more that comparably sized plasmas, and LED displays, commonly used in outdoor viewing environments, cost even more.